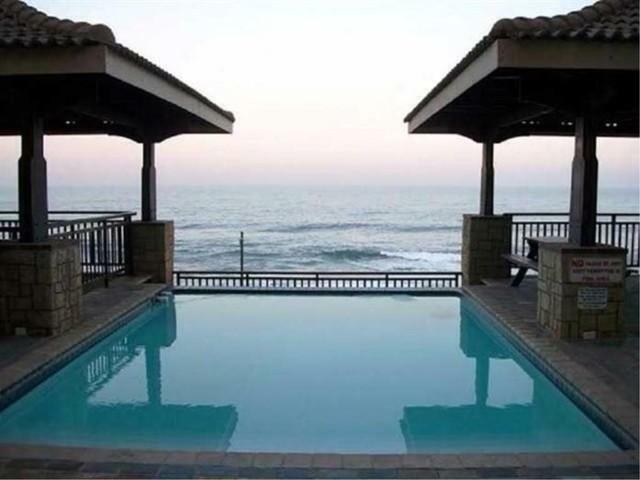 A Blue-Flag beach, white sands, flourishing restaurants and a tranquil vacation atmosphere has led to the Dolphin Coast suburb of Westbrook, close to Ballito, receiving heightened interest from investors and developers who want to capitalise on the suburb’s favourable holiday market. According to Karen Von Wielligh, Chas Everitt International holiday rentals manager in Ballito, the suburb has evolved into a respected player in the KwaZulu-Natal tourism sector and it is witnessing immense interest in the holiday market. She adds that during the festive season, Westbrook is booked to full capacity as national and international tourists choose the destination to spend their time-off. One of the primary reasons Westbrook has evolved into such a high-demand holiday destination is its ability to combine development with the preservation of its natural landscape. Here, premium self-catering holiday apartments merge happily with wide ocean views and sub-tropical greenery. This unspoiled beauty has given the suburb a competitive edge over the nearby suburbs of La Mercy and Ballito, which are respectively situated just 13 and 23 minutes’ drive away from Westbrook. According to Von Wielligh, the three most popular self-catering apartment complexes in Westbrook are Bali Hai, Blue Largo and La Piroque. All have spacious balconies that overlook the Westbrook Beach, allowing guests to wake up to the sun rising above the ocean and fall asleep to the soothing sound of undulating waves. All units are affordably priced and privately owned, and each has their own unique look and feel although certain aspects are the same. Bali Hai and La Piroque are spacious, with breezy two or three bedroom units. Blue Largo has a more intimate setting and each unit has two bedrooms. Common features in the apartments include a pool, balconies that provide panoramic sea views and fully-equipped kitchens. To complement these sought-after apartments, Westbrook is close to a selection of restaurants and activities that give it a lively ambience and makes it memorable. The suburb is home to the Spice Restaurant in Bali Hai, and is near to the eateries of Turn and Tender (steakhouse), Mozambik (Portuguese cuisine) and Beria Alta (Portuguese/African fusion). According to Von Wielligh, the restaurant sector in the Dolphin Coast is currently burgeoning as over 90 new restaurants have opened up, providing a selection of cuisines for holiday-makers to indulge in. For those who want to experience the best of the Dolphin Coast, she recommends exploring the plethora of beaches in the region, as well as going on an adventure in the Sugar Rush Park. Situated just outside Ballito, the park boasts a range of activities for the whole family, including a market and winery, running and bike trails, and park runs. As the festive season draws closer, the Dolphin Coast is emerging as a leader in attracting local and international holidaymakers. And with Westbrook especially experiencing full capacity bookings, it has become a hot location for developers and investors seeking to capitalise on its popularity by building and buying new holiday apartments here.